It's that time again. There's a whiff of waffle in the air. 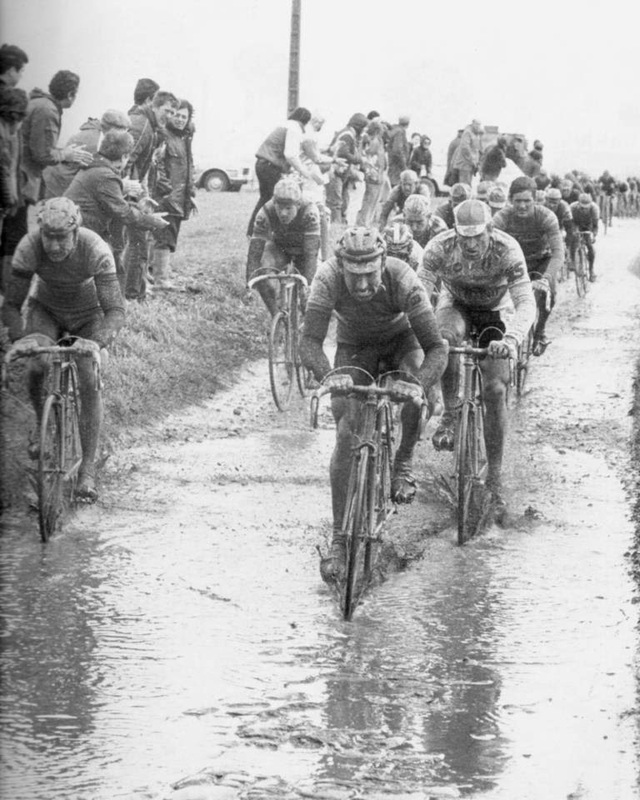 The spring classics are just around the corner, and thoughts of San Diego's own hardest cycling event are percolating like the moldy toe warmers you have stuffed in a pocket of a long forgotten jersey from the 80's. Ok, maybe not front of mind, but for some, this ride is BIG and for them, we ride. Wednesday, Dec. 18, 7:30am. We ride from Peet's Coffee in Solana Beach on Lomas Santa Fe at 7:30am and proceed on a nice warmup up the coast to the bike path along the 76. There we encounter our first dirt, near the drive-in theater. We also cross a small amount of water, and then proceed down the bike path. We cut over at Douglas and hit the high speed dirt and gravel portion of the hell of North County. We get back on River Road and head to Valle Del Sol for a climb and another minor dirt section. We proceed through southern fallbrook to Rice Canyon for a well deserved descent to finally get to the KOM of Couser Canyon. We get onto Lilac and head up Old Castle to a not very well known climb called Sierra Rojo Rd. Steep sections are hidden here. It drops us back onto Lilac and just as you think it's time for a stop, we do the famous Country Club dirt section. Loose sand when it's dry outside and a mud bog when it's wet, this was an infamous section in 2012's edition of BWR. For those without the nerve, this section can be ridden around to meet at our 'lunch' stop at the market off Valley Center Rd. We then ride Woods Valley to Lake Wohlford, down Lake Wohlford and into Escondido. But you've only gone 85 miles, there's some more riding to be done. Down S. Citrus, brief left on San Pasqual Valley Rd, then a hard right onto Summit Dr., We climb a bit, then it drops us onto San Pasqual Rd for a very brief bit before turning east onto Old Milky Way toward an easy dirt crossing of Santa Ysabel Creek… when it's dry outside. Up Bandy Canyon for another KOM, then down Highland Valley to the longest and nastiest dirt section around Lake Hodges. For our ride, we'll stop midway for snacks at the gas station near Bear Valley Pkwy, and 15. We then finish off the dirt, head thru Harmony Grove, but stop short of Elfin Forest Rd. and climb Questhaven. A nice dirt climb with a steeper paved section adding some kick in the tail as you are now at 112 miles. We then enter San Elijo Rd and the traffic corridor as you climb up to the first station. Why? Because you want to!, we then descend to the turn to Double Peak. Yes, you hit Double Peak at mile 118. We then descend, and depending on remaining light, head back to the coast and return to Solana Beach. The right clothes, it'll be cold, then maybe not. Post by SPY Belgian Waffle Ride.